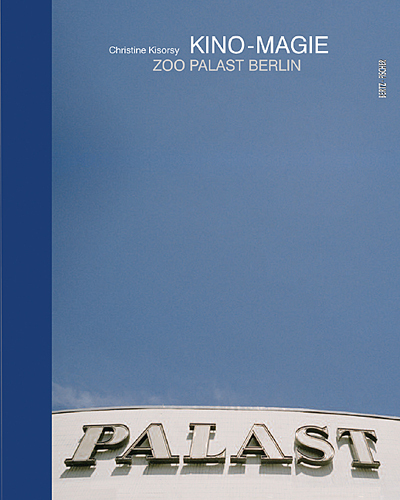 On the occasion of the Berlinale 2010 the german Publishing Company Bertz+Fischer will present the first book about the legendary Berlin Cinema ZOO PALAST. The Cinema ZOO PALAST - one of the largest and most famous cinemas in Germany was for over five decades the main venue of the Berlin International Film Festival. It is among the few preserved palaces that have been built for the Movies in the 50ies of the last century. With its elegantly curved lines his architecture was an expression of optimism of the "Wirtschaftswunderjahre". The photo-book shows for the first time stunning photography of cinema architecture by photographer Christine Kisorsy. The photographs set a focus on what is usually hidden in the dark of the "black box" an bring to light the elements of design of one of the last historical Cinema treasures of berlin. with a foreword by Berlinale-Director Dieter Kosslick and an essay by Film-Critic Michael Althen.